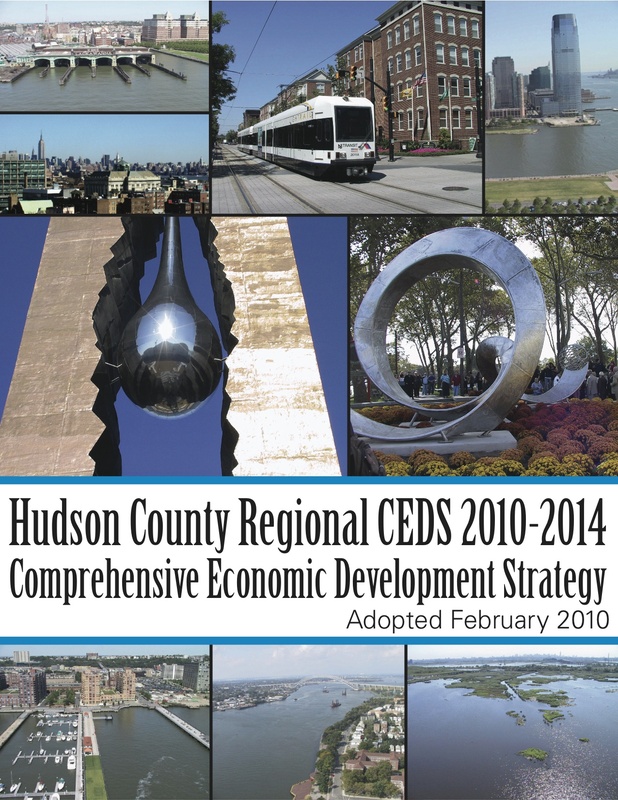 For Hudson County, I drafted the Regional Comprehensive Economic Development Strategy (CEDS) which serves as the economic development component to the County Master Plan and renders the County eligible for Federal EDA funding. 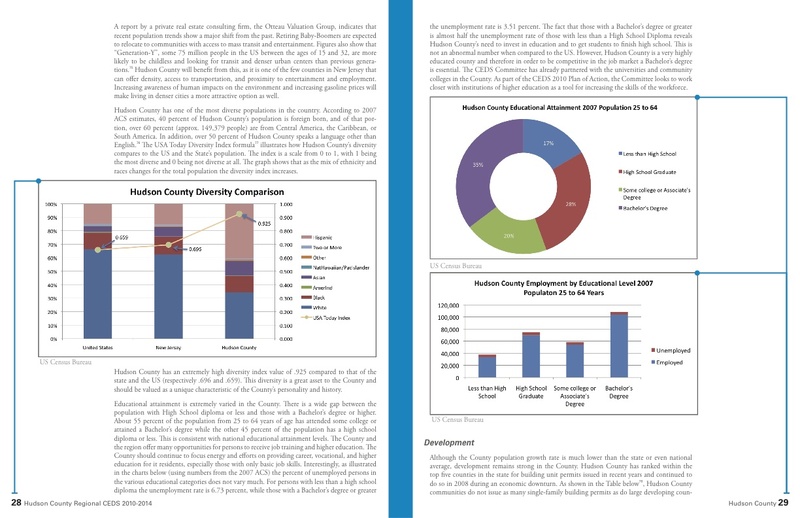 For the CEDS, I conducted economic analyses, interviewed municipal and county officials, and both developed and conducted a public opinion survey to include community participation in the plan. 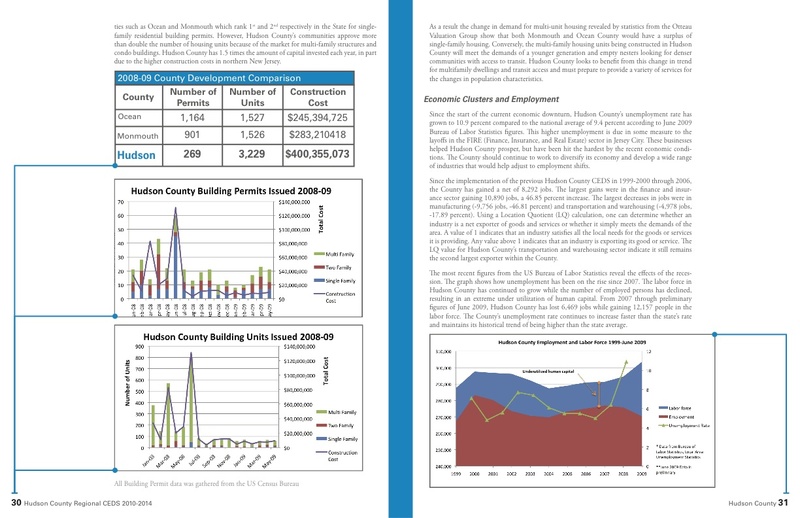 In addition to co-authoring the plan, I generated charts, tables and graphics, as well as designing and laying out the report. The plan was approved and adopted by the County Board of Chosen Freeholders in January of 2010.